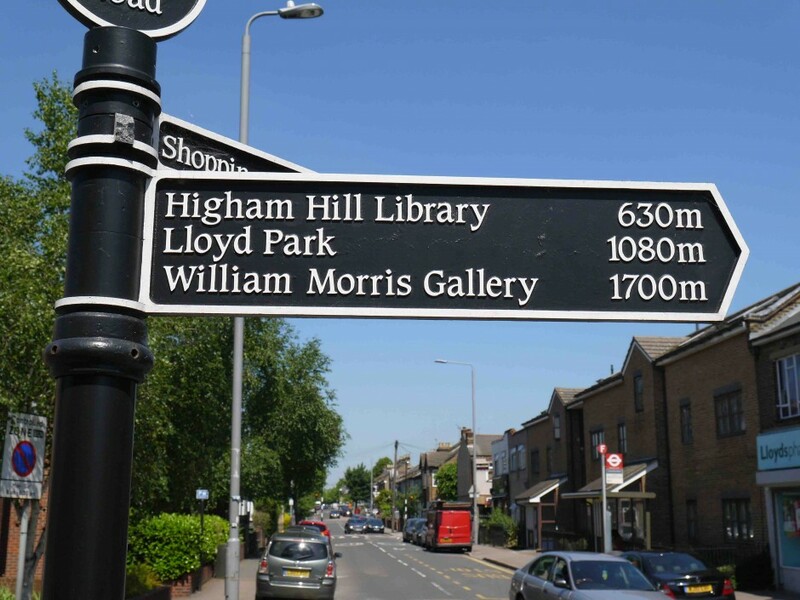 This was a tip-off from a friend and the realisation that I had actually never been to Higham Hill, it had remained mythologised as the termination point of the W15 bus with the automated robot voice stating its identity as the ‘W15 to Higham Hill Cogan Avenue’. My mate had mentioned in a follow-up text that the area possessed some interesting industrial history, important developments printing and type, the site recently converted into housing with the blocks named after various fonts. 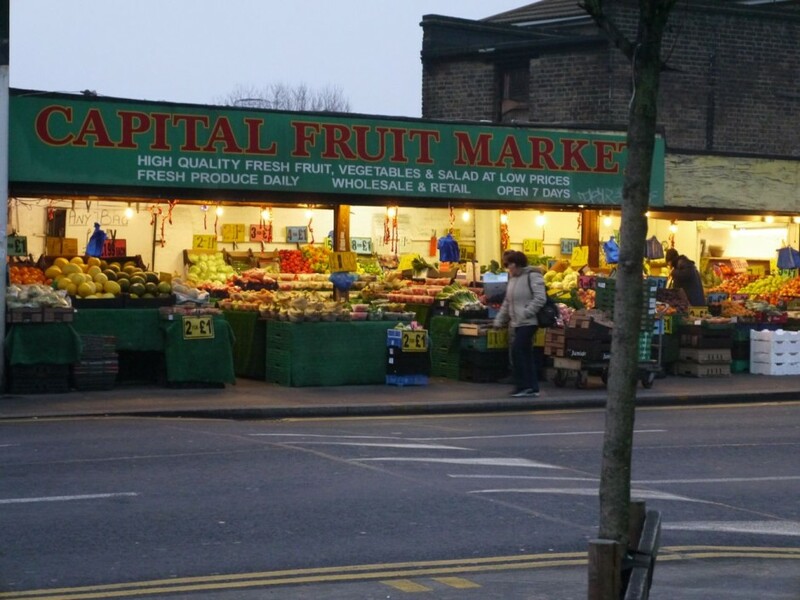 Higham Hill was not merely a suburb of Walthamstow, the latest feasting ground of ravenous estate agents. 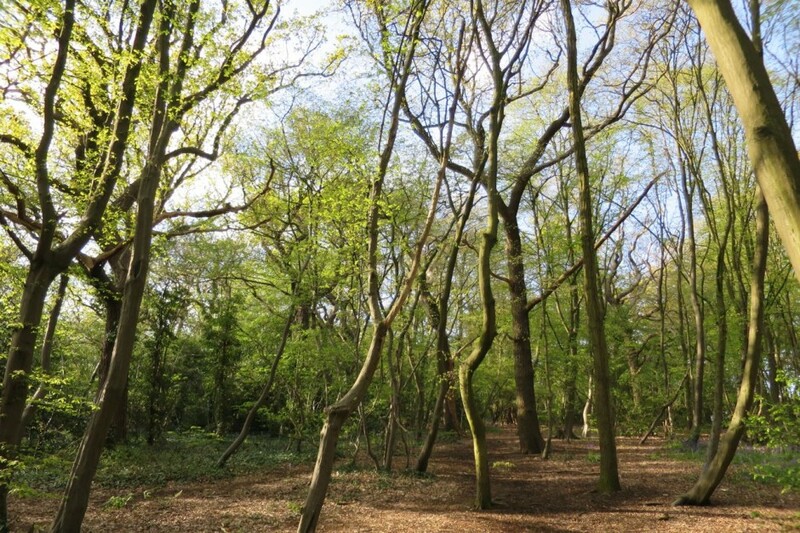 Higham Hill Road offered fantastic eastwards views towards Epping Forest and Claybury. 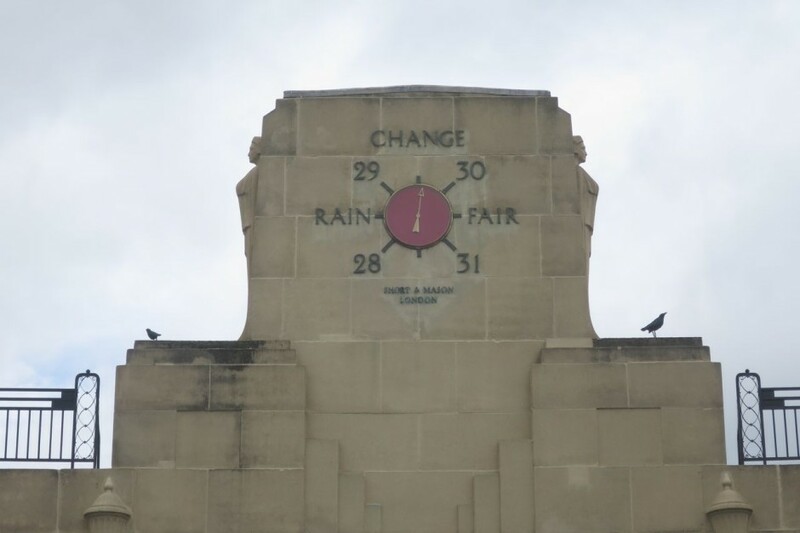 There was indeed fantastic art deco industrial architecture, abundant allotments, and well-kept open space. I spent three hours wandering round as the sun bashed down burning out the last day of May and I found a beautiful Victorian book for sale for a couple of quid in the Post Office before jumping the bus back to Leytonstone. 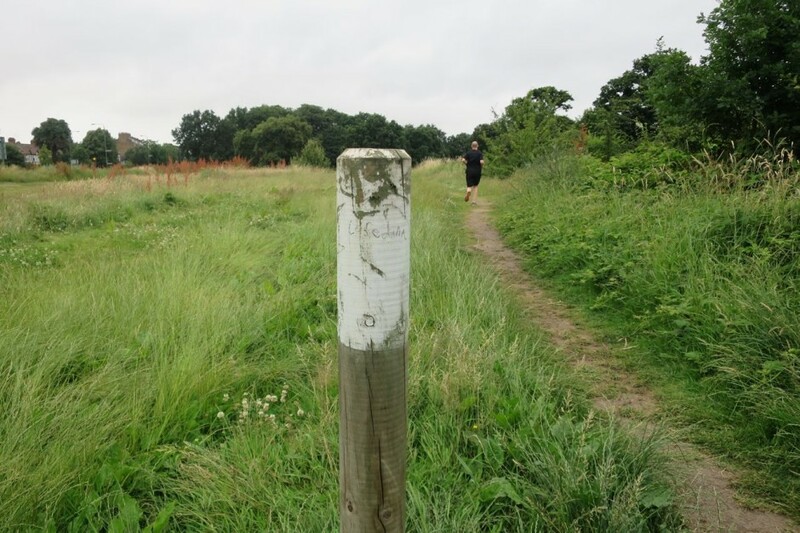 My OS Explorer 174 map of Epping Forest and Lee Valley is battered from extensive use. However there are still large sections of unexplored territory, so at lunchtime on Remembrance Sunday I set out to tramp across one of these unknown zones. The idea was to head roughly northwest from Epping in the general direction of Galleyhill Wood or perhaps Monkhams Hall to the north of Waltham Abbey. 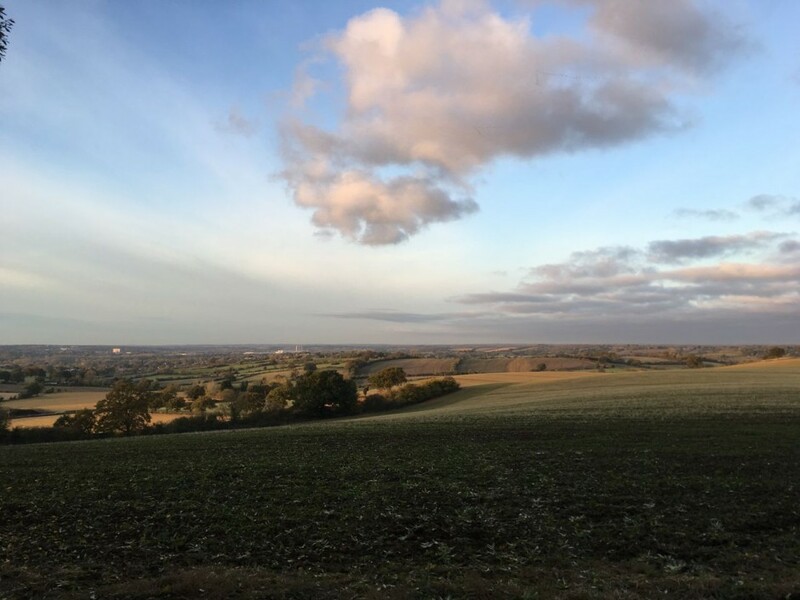 I’d walked the valley floor as far as Hertford but had never ventured onto the high ground except from a field trip last December to Easneye and Widbury Hill. 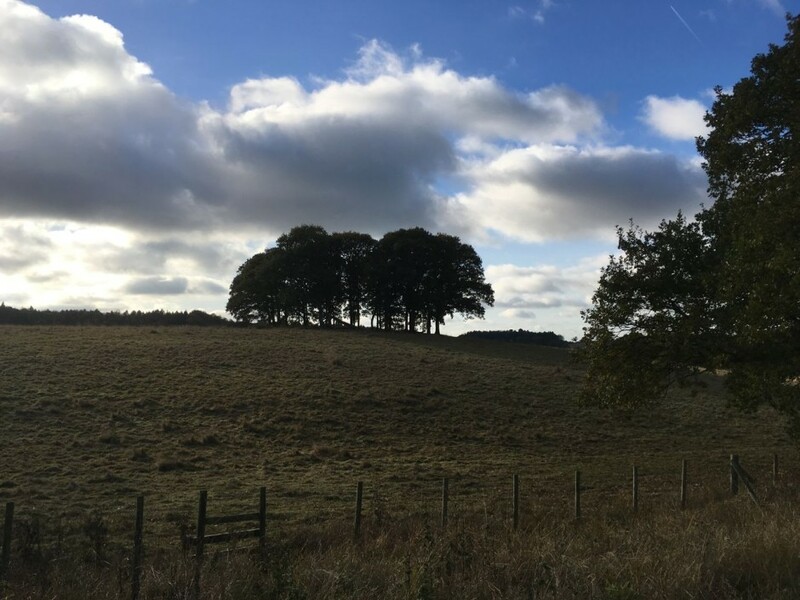 The first fields out of Epping towards Upshire saw me pursued by a hungry pack of hikers who thankfully I seemed to lose at Copped Hall. 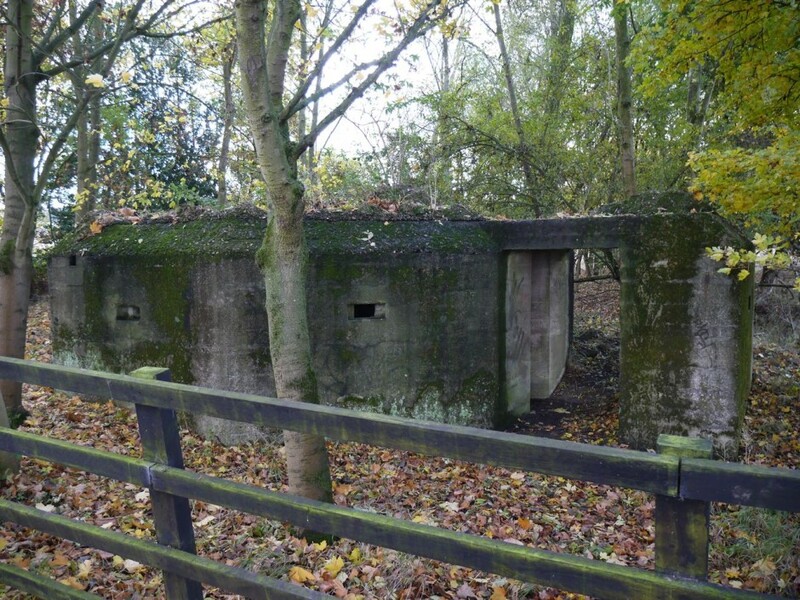 Which was lucky because I’d been beguiled by one of the the Outer London Defence Ring Anti-Tank pillboxes. I’d encountered other features of this Second World War system along the River Lea north of Waltham Abbey but it seemed so innocuous here beside the lane. My plan for the walk was as vague as my map reading skills, my guiding principle being to stick to the high ground, I only had a couple of hours till sunset so that should ensure a decent view for late afternoon. As sunset approaches I enter the steep muddy climb into Galleyhill Wood catching the last rays of daylight around the edge of the hill. 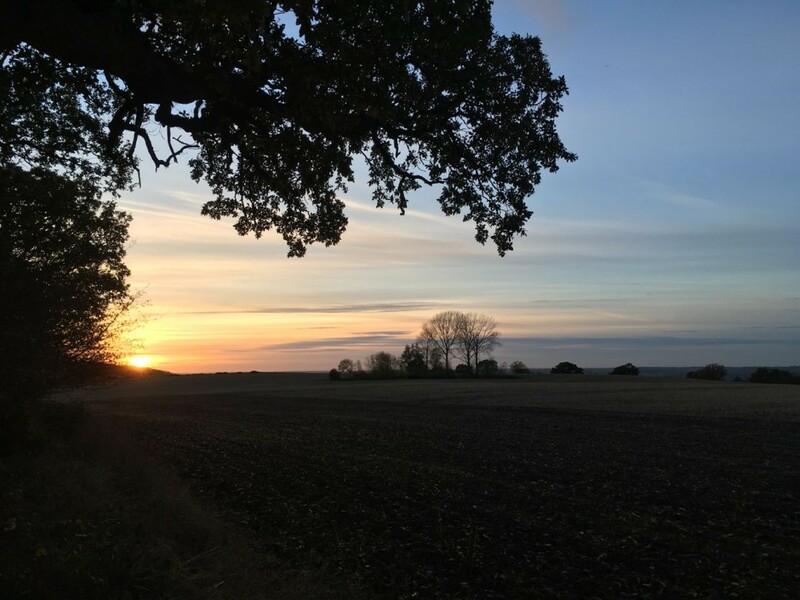 By the time I stumble into Bumble’s Green it is nearly dark, the walk in essence over aside from the need to find my way through the dark to the nearest station 3 miles away at Broxbourne. I risk my life along a pavement-less road for no more than 500 yards before ducking down the first footpath that presents itself and walking across fields guided by the spotlight of the Super Moon. 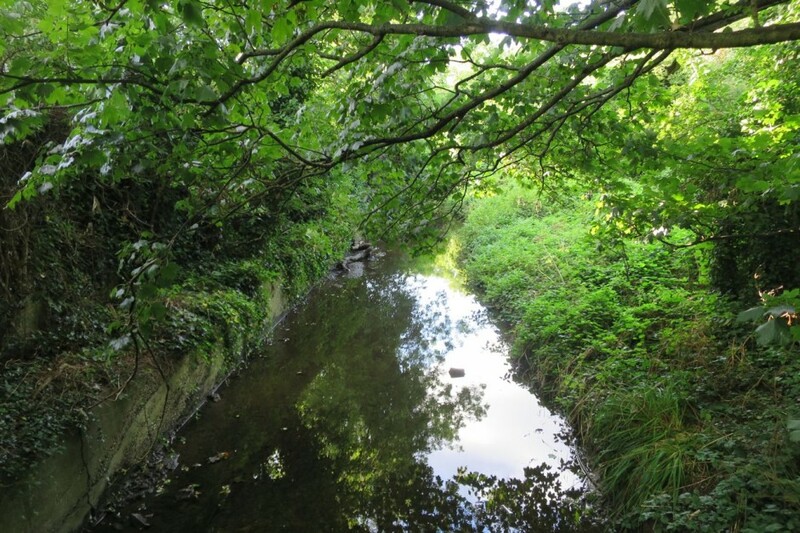 The Pymmes Brook has been on my itinerary for a while – usually noted down as I walk north up the Lea Valley striking for territory beyond the M25. A fine day in August following a torrential downpour the day before that scuppered an expedition along the River Pinn, provided the perfect opportunity. 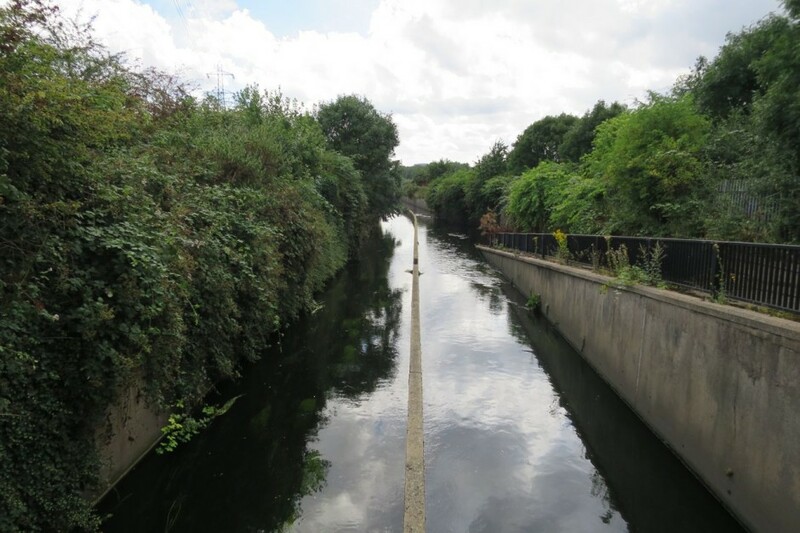 Although the Pymmes Brook makes it confluence with the Lea at Tottenham Hale, the official Pymmes Brook Trail starts slightly further north at Pickett’s Lock and then follows the Salmon Brook part of the way. I decided to stick to what I saw as the full course of the river starting early afternoon near where the Pymmes Brook makes its confluence with the River Lea at Ferry Lane. 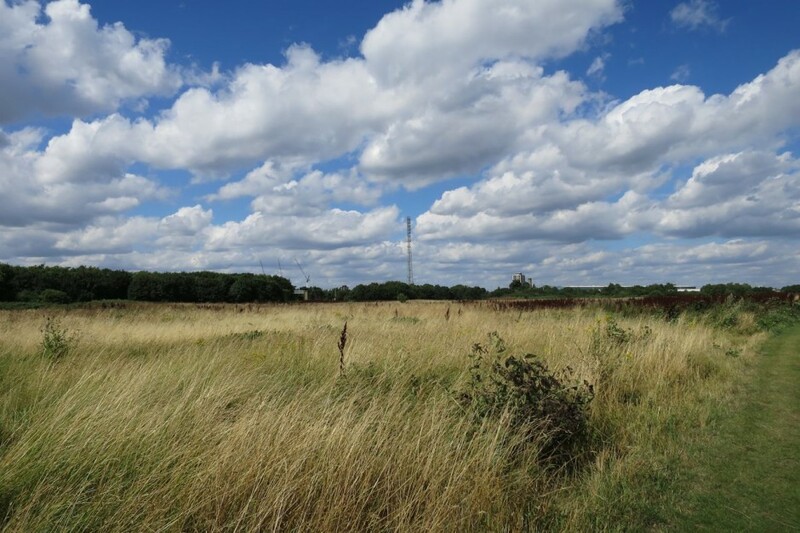 Tottenham Marshes are a great oasis with views across to pylons and the highlands of Epping Forest. A smattering of cyclists and joggers. The Pymmes Brook slides along a deep-sided concrete culvert passing by Stonebridge Lock. Men emerge from the undergrowth onto the footpath that curves through Wild Marsh West. 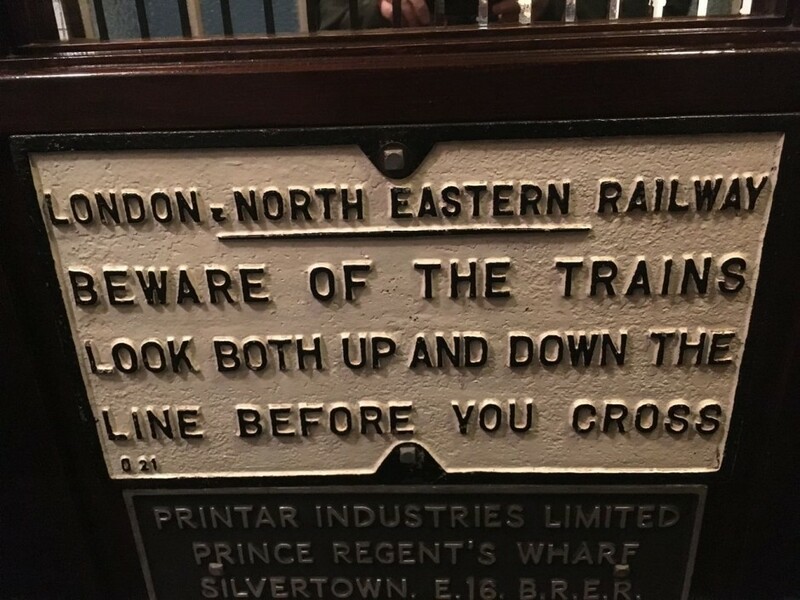 The information boards include a mention of the Tottenham Outrage that reached its bloody conclusion not far away on 23rd January 1909. The river splits in the middle of an industrial estate containing an Electricity Substation and the Tottenham Gas Holder just before Angel Road and the North Circular with the Salmon Brook snaking northwards. 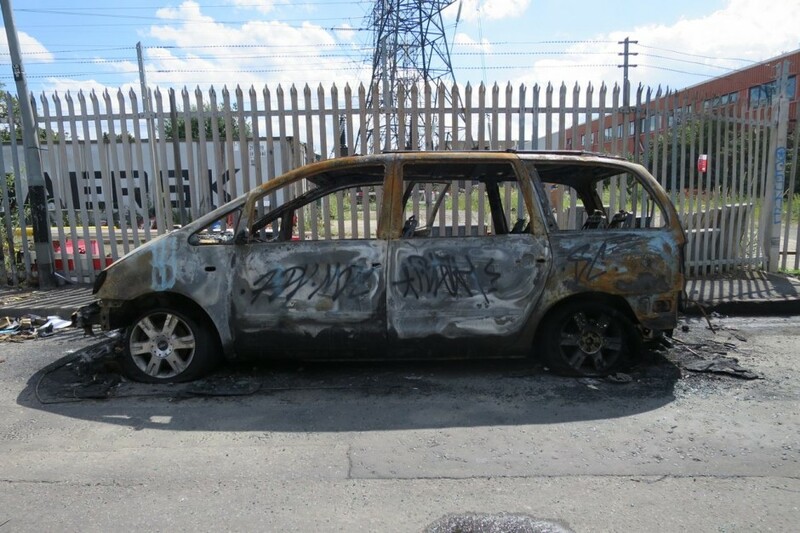 It’s a heavily gated area and I’m forced down Leeside Road past a burnt out car. 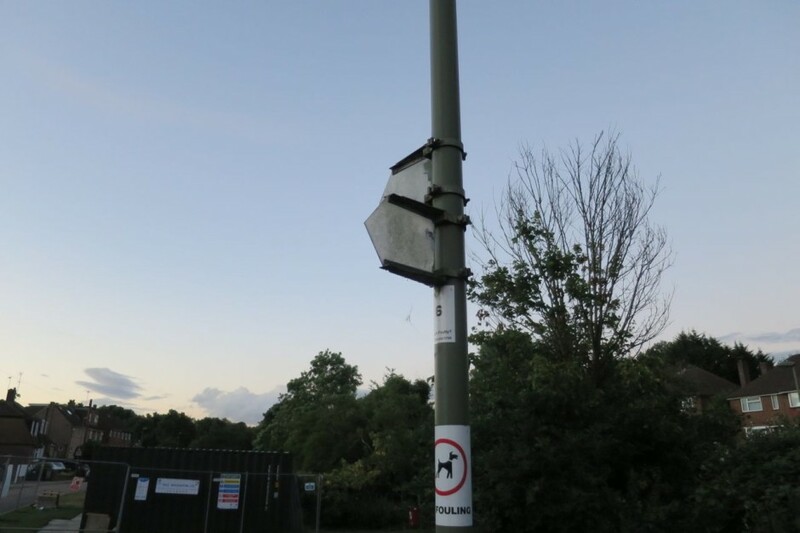 This is classic North Circular industrial edgeland – large warehouse units down dusty roads, blackberry fronds reaching out through the spiked metal fencing, warnings of the danger of death and “multiple hazards”, reminders that every step is being recorded by CCTV cameras. And yet nobody is around. The angry buzz of a remote controlled car scooting round the vast empty IKEA car park fills the air. Looking at my mid-1950’s Georgraphia Atlas IKEA occupies the site of a ‘Gothic Works’ which appears to have been a type of elaborate metalwork rather than anything to do with the Sisters of Mercy. The Pymmes Brook briefly re-emerges snug within its culvert where the North Circular passes high overhead before disappearing beneath the ground. 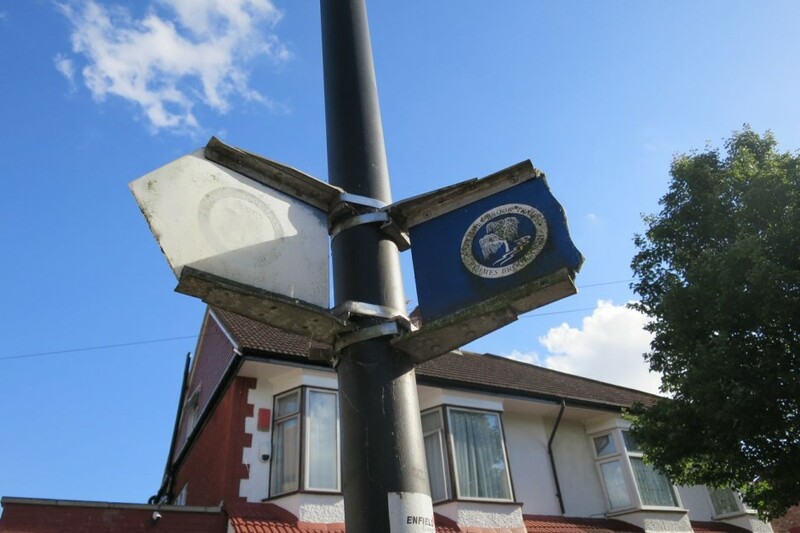 The walk now hugs the North Circular till the old Roman Fore Street where the Pymmes Brook is released from the underworld in Angel Place and moves on around the edge of Pymmes Park. 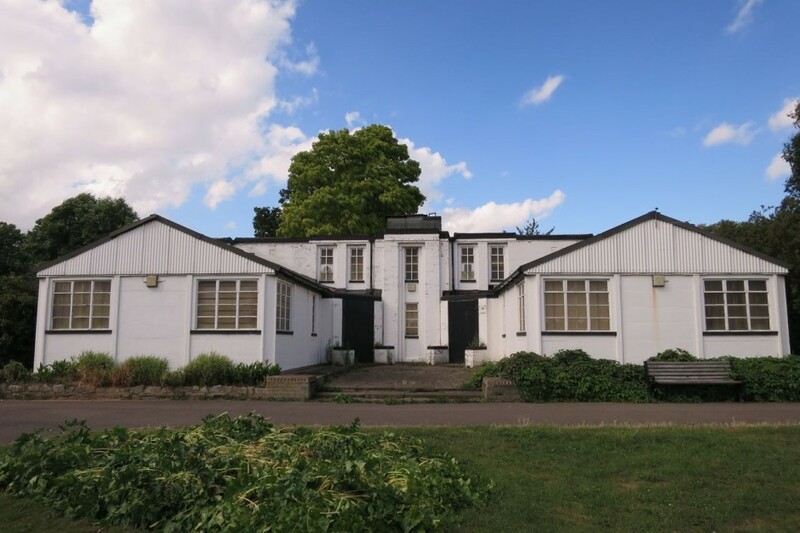 The Park formed part of the grounds of Pymmes House originally built by William Pymme in 1327. The Elizabethan manor house, once the home of William Cecil, was destroyed by fire in 1940. The old walled garden remains. 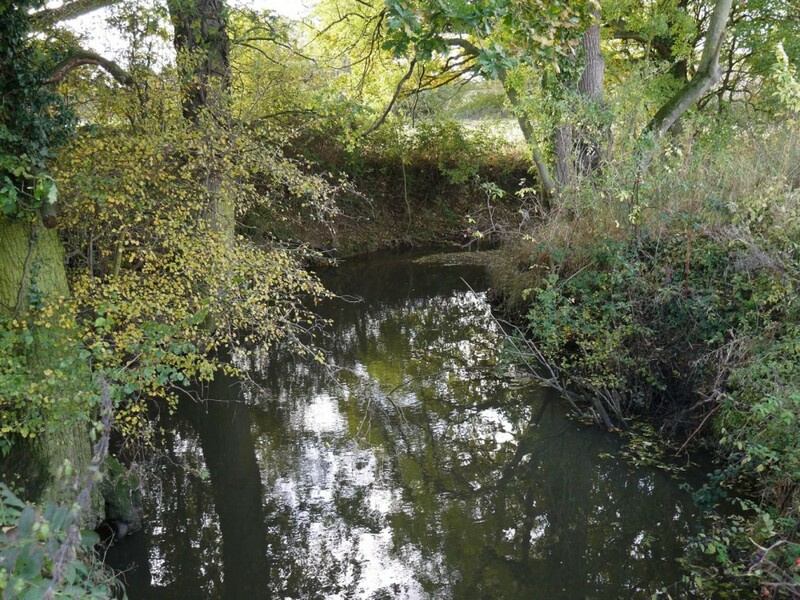 It flows through an 1980’s-looking council estate before finally escaping the concrete prison of the culvert near Silver Street and running free through a small grove along smooth muddy banks with trees drooping boughs into the water. A cat hunts in the undergrowth along the riverbank. 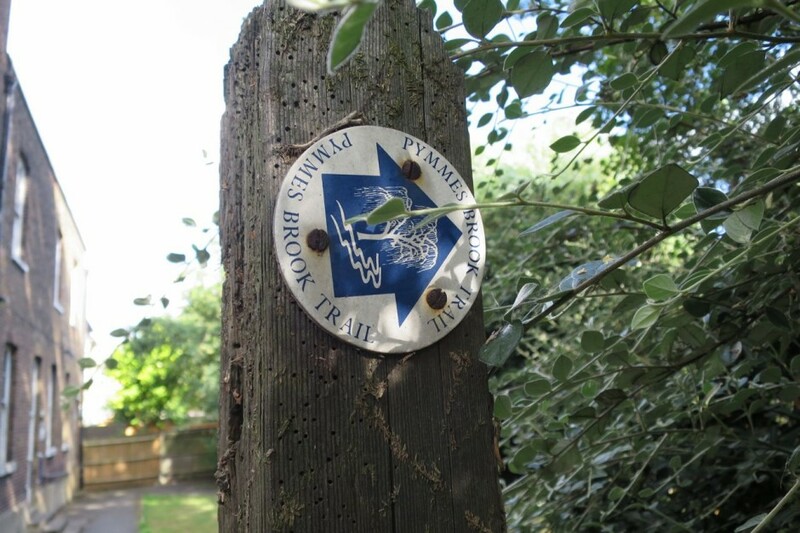 Here my walk meets the official Pymmes Brook trail in the grounds of Millfield Arts Centre before crossing back under the North Circular and leading me round the edge of Tile Kiln Lane Open Space and a network of picture-postcard north London suburban streets in Bounds Green. Now late afternoon, the weather warm, I start to hanker after a cup of tea. 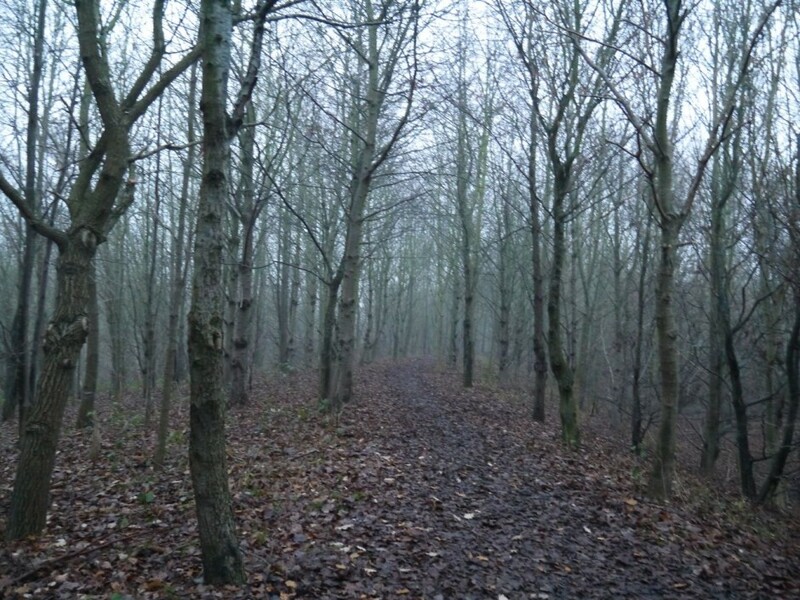 I’d had doubts about this walk but so far it’d been a revelation – opening up a previously unexplored corner of north London. I still wondered whether I would make it to the source before dark though. 5.45pm and I find myself tucking into a bacon and cheese roll at the Grand Café on Clock House Parade, Palmers Green. Despite the quality of the crusty roll and comfortable seating the café is a tad generously named but does occupy a good spot on the curve of the roundabout at the intersection of the A10 and North Circular. It’s been a hot and humid day and I’m tired with a few miles to go to the source at Hadley Common and only a couple of hours daylight. With the bacon and tea working into my system it’s time to find the energy for the final push uphill. 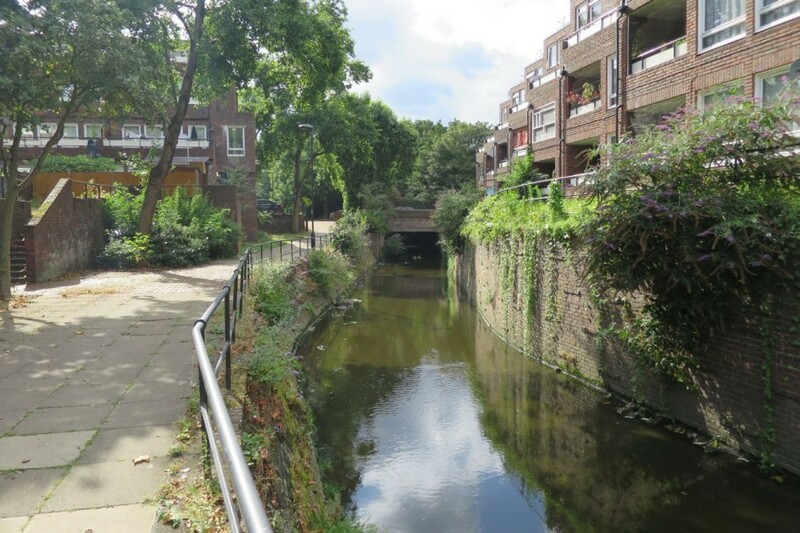 The Pymmes Brook is back encased in a deep open concrete sleeve for this passage through classic north London bow-fronted suburbia. The New River crosses paths on its journey between Amwell Street, Islington and Amwell Springs Hertfordshire, one of the many journeys I keep promising to do. At Arnos Park the Brook is once again liberated, the waters within touching distance for the first time today as they meander beneath a series of quaint wooden bridges around the perimeter of the park. 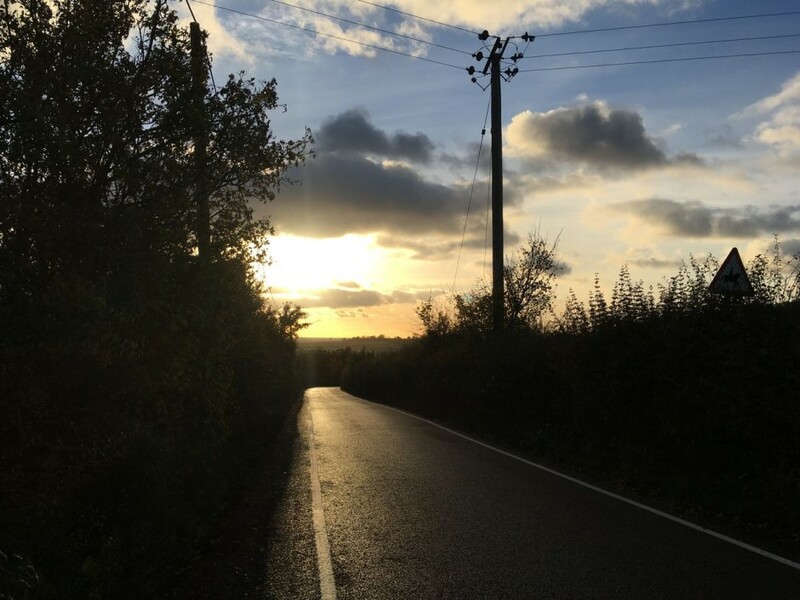 This is the part of the walk I’ve been most looking forward – deep Nick Papadimitriou territory, my old walking comrade who I haven’t stepped out with for over 18 months. 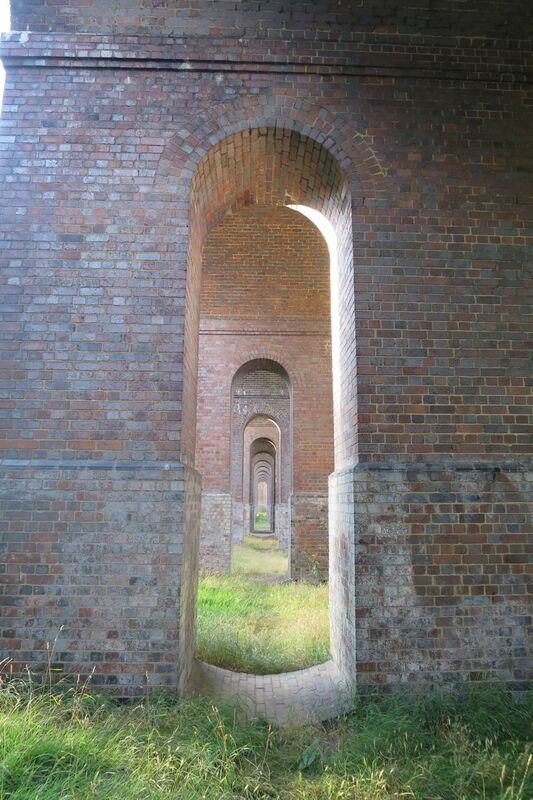 The Brook flows alongside a spectacular viaduct that carries the Piccadilly Line across the park. 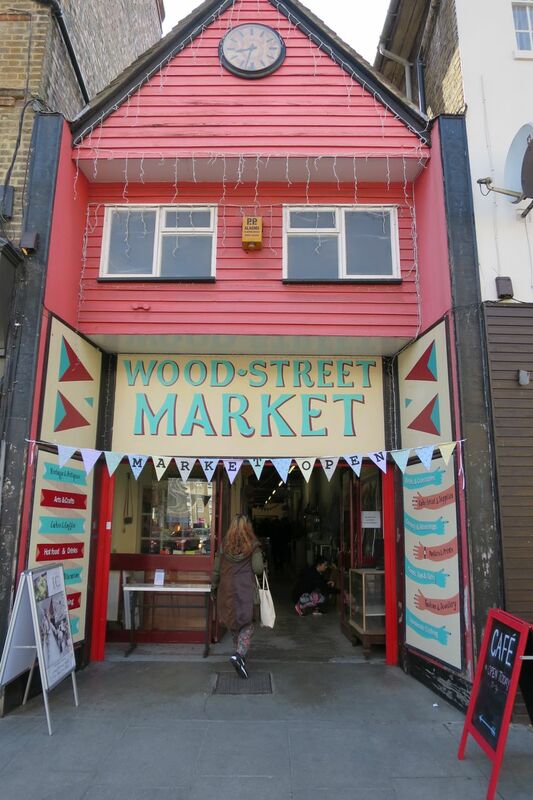 We filmed here in February 2008 doing the first walk and shoot for what became The London Perambulator. I send Nick a text to tell him where I am – he never replied. As the brook works its way through a wooded gully I catch a whiff of sewage and hope it’s merely my imagination. Sadly London’s waterways are prone to becoming polluted from industrial waste and drainage overflow. Just the other day the London Waterkeeper posted a photo on Twitter of chemicals pouring into the Pymmes Brook. Moving now into a summer sunset across Oak Hill Park full of evening football training, joggers, group workout sessions, tennis matches. 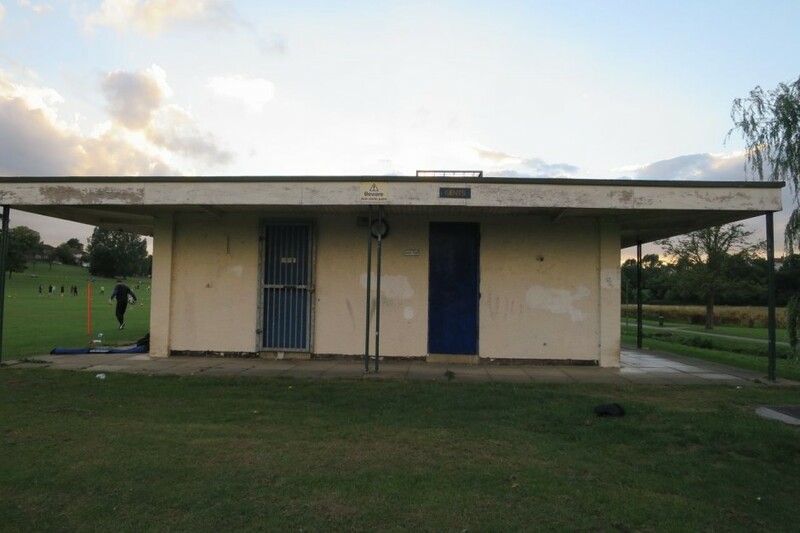 A man sits sucking down a can of strong lager behind the concrete pavilion and hurriedly moves on as I approach. A large tree lays prone across the Brook. By the time I’m through East Barnet Village the light has almost entirely ebbed away. A fox and cub mooch around some undergrowth on the verge of a housing estate as the Brook nears its source. The final climb from Barnet the first real sense of gaining altitude through foothills of peak suburbia. 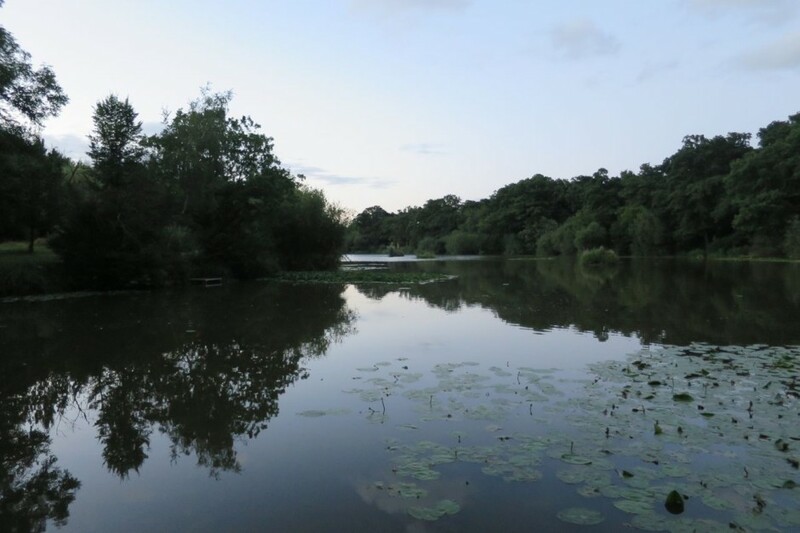 I reach the lake on Hadley Common where the Pymmes Brook gurgles up beneath the still surface at 9pm – stumbling through pitch-black woods guided by the chatter of fishermen. I linger for a while and shoot a time-lapse before heading off back into the housing estate for a bag of chips and the road to Cockfosters Station. There’s a light patter of rain on the tree canopy along the edge of Leyton Flats as I head out on a Sunday morning walk – a rarity for me as I usually start in the afternoon and walk into the sunset. But today I have to introduce a secret film at Close Up in the evening. The rain makes gentle circles in the Birch Well – a Victorian drinking spot for the grazing cattle who wandered this way until the BSE outbreak in the 90’s. 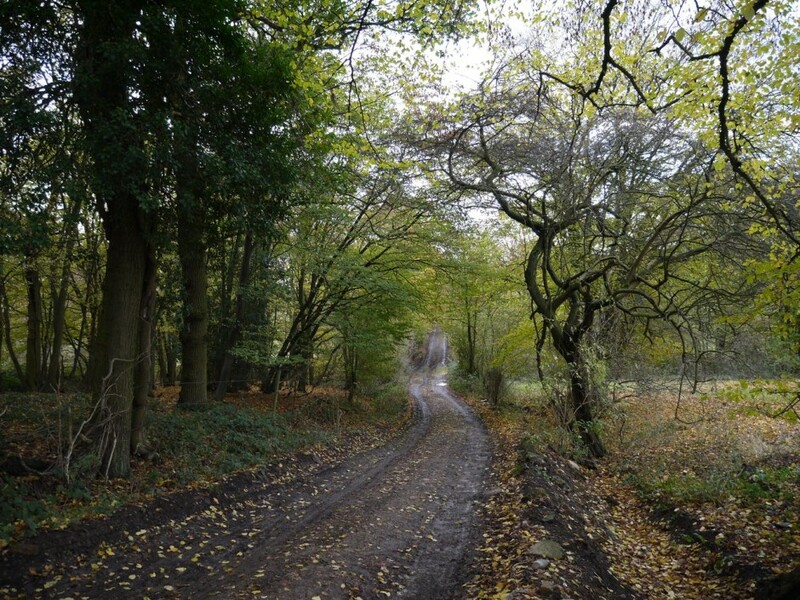 This first narrow section of forest offers little opportunity for aimless wandering nor allows you to surrender to the woodland spirits because you encounter a road crossing about every 300 yards. A giant fallen tree lies across the path leading out of Gilberts Slade. I’m feeling the effects of a viral cold, heavy legged, sore feet, wondering how far I’ll make it. The long wet grass by the gypsy stone at Woodford soaks my trousers to the knee. I pause for a moment under a tree at Highams Park Lake. The broad shade on the far side and the meander of the River Ching is a favourite spot in the Forest, it has a middle earth like magic even though BBQ smoke and the sound of playing children waft over from the back gardens of surrounding houses. I stop at the Royal Café in Chingford Hatch for sausage, egg, and chips with tea so strong you could stand a spoon upright in it. Hunger must be dealt with first before assessing whether I have the desire to push on with the walk. I’ve been waiting for this walk to claim a narrative. 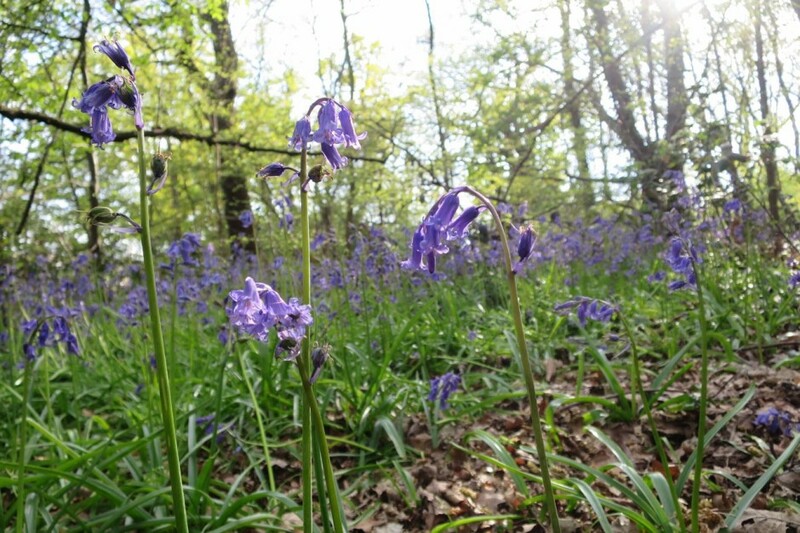 I can pinpoint almost every other forest schlep with some event or association – even minor excursions like the one that ended here one wet day and I left my walking stick propped against a bench over the road and felt like I was abandoning an old friend. Maybe this stop in the Royal Café will provide that narrative hook. 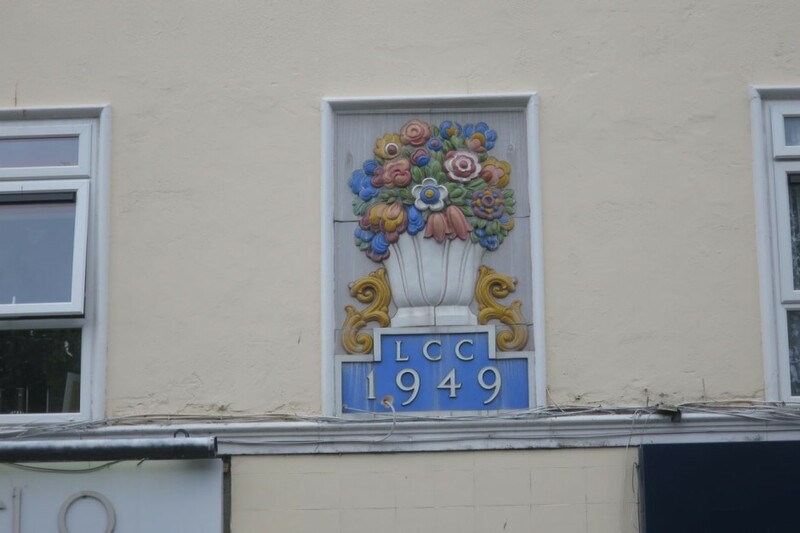 The Café sits on the ground floor of a block of flats – there’s a decorative tiled relief set into the wall showing a vase brimming full of flowers in bloom above the letters of the London County Council 1949. 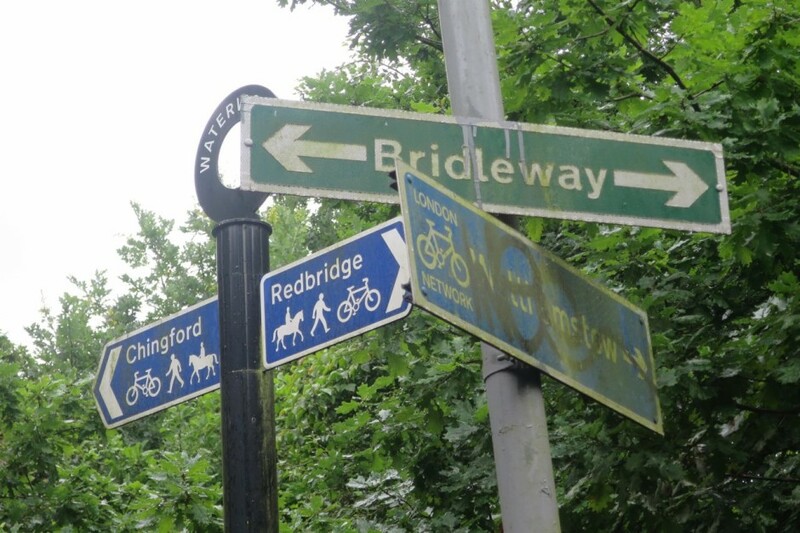 The profusion of peddle-dash along the side of New Road Chingford, the nearby Harvester, these are some of the great signifiers of the London fringe – you find the same motifs heading west through Greenford and Northolt. At Chingford Mount I buy a two-pack of socks from Poundland and put both pairs on sat on a bench near the clock tower. With food in my belly and dry socks on my feet I feel like a new person ready to pursue the quest. 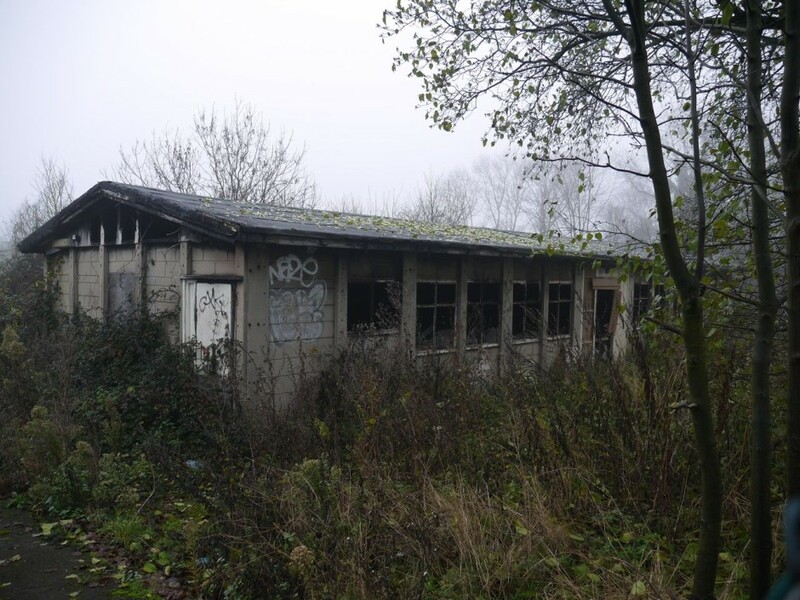 Lower Hall Lane offers up a classic slice of Lea Valley edgeland. 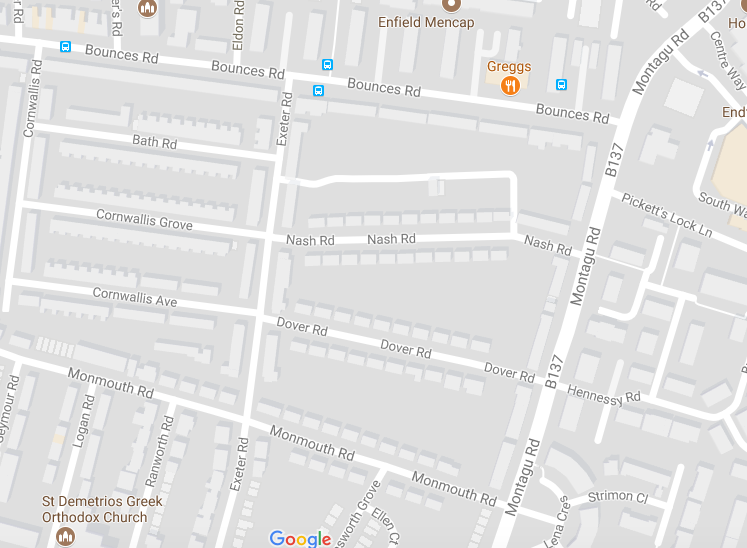 Men sitting in parked cars in this deadend road – cabbies waiting for the next call. Suburban husbands escaping bungalow wives. 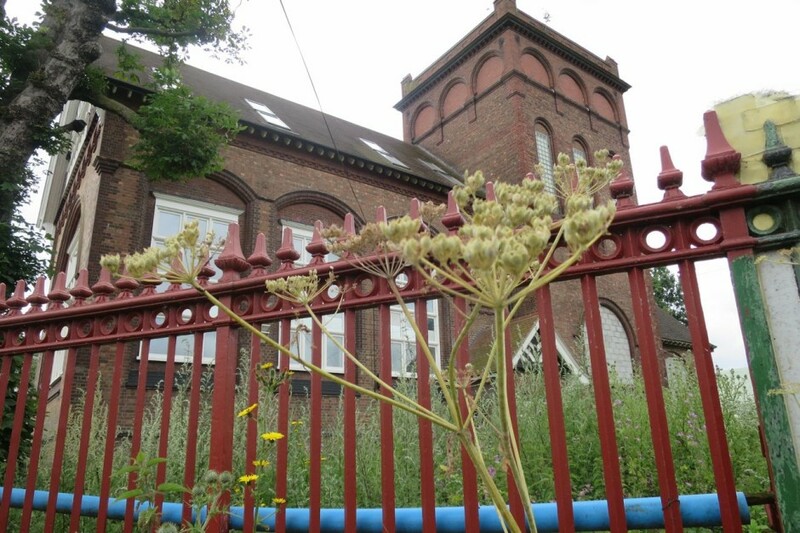 Newbuild housing abuts the Grade II-listed Victorian pumping station. 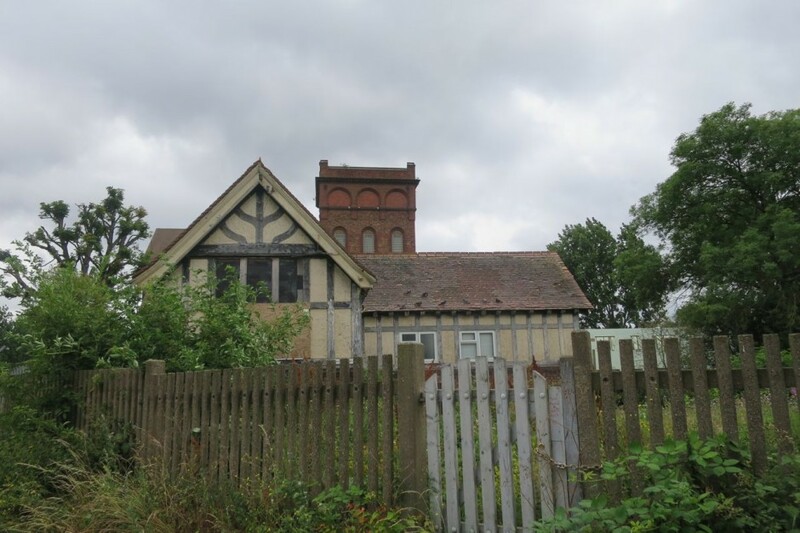 A grand brick pile built in 1895 by the East London Water Works, the local paper reports arrests made in recent years for planning violations. 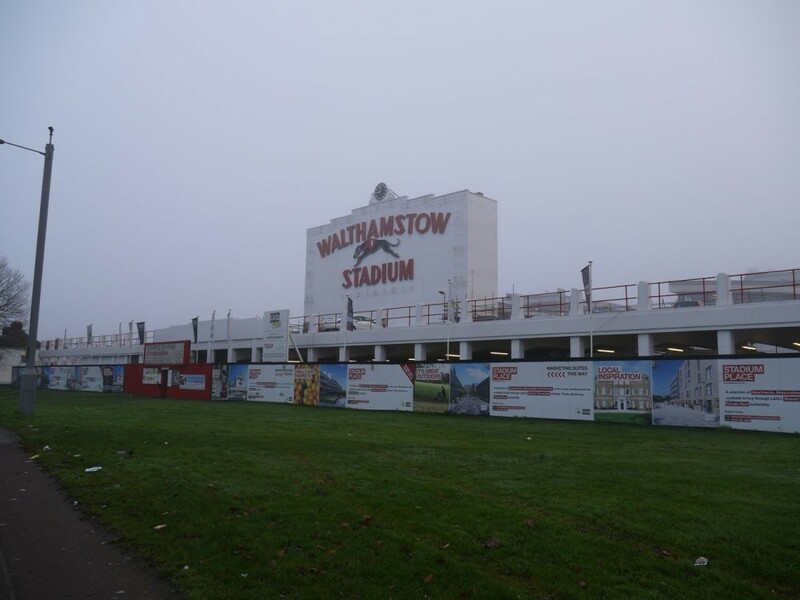 Permission to convert to site to residential use was granted by Waltham Forest Council in 2007 but now appears to be under review. 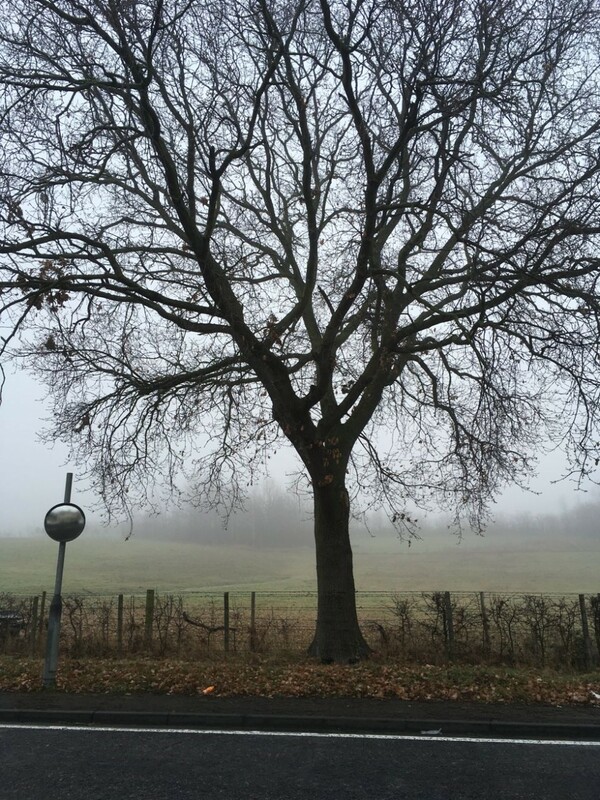 19th Century excavations in Lower Hall Lane unearthed a series of Bronze Age Cremations – one of many such sites that line the Lea Valley. Further archaeological investigations in Lower Hall Lane revealed a medieval brew house, barns, moats, walls, and ditches. It’s a site of continuous human usage stretching back thousands of years. Today it’s just me and the dog barking at the gate of the deserted pumping station. A shiny new thick chain and padlock adorn the adjoining cottage gate. Perhaps someone is inside watching me from behind the curtains. I sauntered past London Waste up the cycle track on the opposite side to the towpath. From the bridge I spot the polythene of a temporary home flapping in the thick undergrowth – makeshift settlements scatter the fringes of London, like Harvester restaurants. 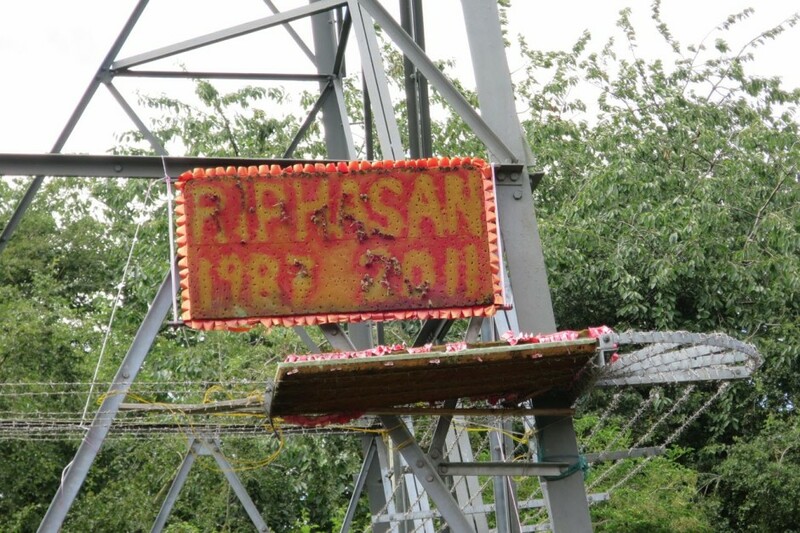 A shrine suspended on a pylon pays tribute to ‘RIP Hasan 1987 – 2011’. I loiter in the foyer of the Odeon of Picketts Lock before getting the train back to Stratford from Ponders End.